Solving problems and selling with Mark Timm. Starting a business is hard. Scaling a business is even harder. And, exiting a business is harder still. So, why do some companies struggle to reach six figures while others scale to 7, 8, or 9 figures while achieving lucrative exits for its founders? Steve Olsher, Chairman & Founder of Liquor.com, real estate developer, New York Times bestselling author of What Is Your WHAT? and a 25+ year entrepreneur who has built four multimillion-dollar businesses from scratch is on a mission to identify the key differentiators that empower businesses to scale… and exit. 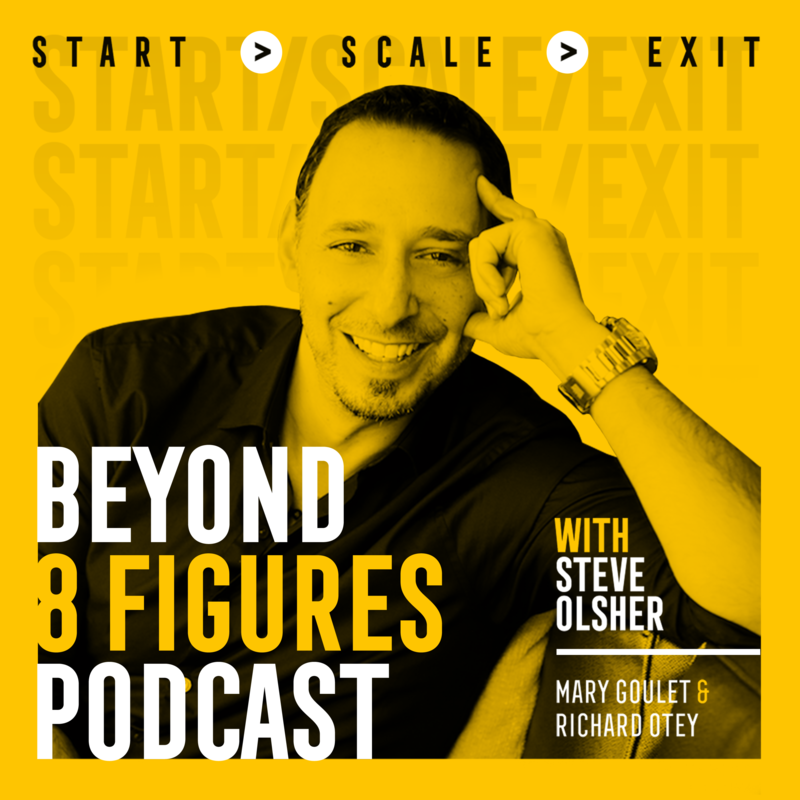 To help on this journey, Steve and his co-hosts Mary Goulet and Richard Otey sit down with accomplished entrepreneurs who have ALL either exited for more than $10,000,000 or currently run businesses that exceed $10,000,000 in annual sales to share their proven methodologies, tactics, and strategies. We don’t ask ‘set’ questions. We don’t let our guests ‘dodge’ the details. This isn’t your average, light or fluffy business show. We dig deep and ask the HARD questions others don’t dare to ask so that YOU can start, scale or exit your business. If you love Gary Vaynerchuk and his fire; if you love Rachel Hollis and her teachings; if you love Lewis Howes and his passion; and, if you love Joe Rogan for his no-holds-barred style, this will be your go-to business podcast.